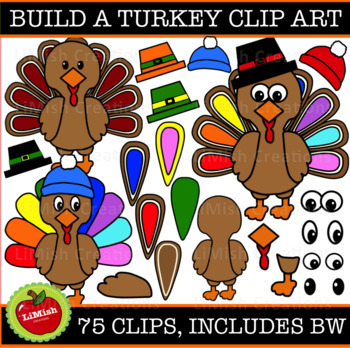 This MASSIVE 75 PIECE Build A Turkey Clipart set has everything you could possibly need to create the most adorable turkeys! Black and white versions of everything has also been included. All images are saved as 300dpi, png files, making it easy to resize or print without losing clarity. 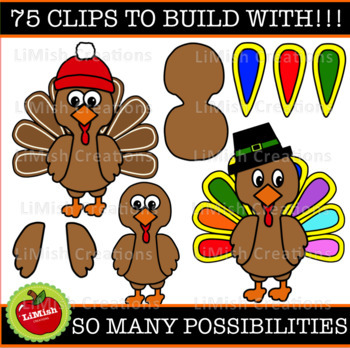 PLEASE NOTE: This set is included in my Lifetime Clipart Growing Bundle. 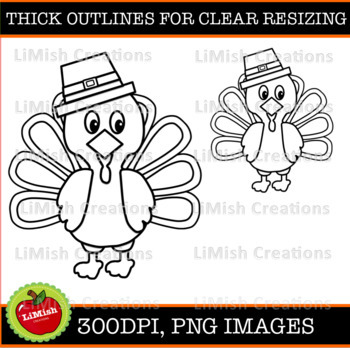 which is great value for money and allows you access to ALL present and future clipart sets. Please feel free to use this for commercial purposes. All I ask in return is that you please provide credit in the form of a clickable link to my store. My TOU are included in the download.